To reduce the Cholesterol we should preferably take cow’s milk. The cooking oil of cow’s milk is better than other cooking oils, as trans fat in vegetable oil / palm oil, fried food are much higher than cow’ butter oil. 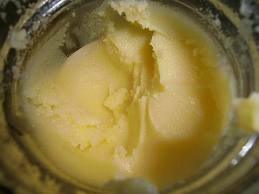 Greedy manufacturers hydrogenate vegetable oils to make crystalline appearance of oils as if it was butter oil. The add on have too many unknown chemicals. Normally trans fat in the cooking oil should not exceed 1-2 % but in practice it goes up to 30- 40 % in food cooked with vegetable oil. To reduce cholesterol in the food consumed one should use mixed flour of various grains. In market there is available flour having nine ingredients: 1) Whole Wheat 2) grams 3) soybean 4)Amaranth 5)Barley 6) Millet 7) Water Cal-trope 8) Maize and 9) Oats. One can take the porridge made of mixture in equal amount of Wheat, rice, Mung and Millet – this will reduce cholesterol & control BP and the diabetes naturally. One should be aware that the folks in country side never took extra vitamins or food supplements. That means unnecessary medicines, vitamins & micro nutrients are not required. As far as possible avoid to take packaged food. As preservatives need to be added. The chemical preservatives will increase the shelf life of food but may result in cancer or other fatal disease. The fresh organic legumes, vegetables are always better option. Physical exercises like swimming, horse back riding and, regular practice of yoga will keep a good health. Yoga : KAPAL BHATI PRANAYAM (K.P) for 30 minutes in case the cholesterol is high along with other pranayams is a must. The sequence of the pranayams is: 1. BASTRIKA, 2. KAPAL BHATI 3. ANU VILOME 4. BRAHMRI 5. UDHGEETH. It has been observed that if Yoga is practiced daily the cholesterol comes down 50 TO 200 points. Also take daily gourd juice and drink hot water so that the regular practice, twice daily of yoga for 6-9 days. Control over the diet is a must. No red meats, or fried foods are ever allowed. Eat salad sandwiches with green chutney to make the food palatable. 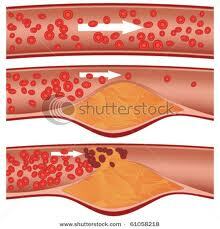 One should be aware that HDL in cholesterol is a good component, the higher reading is good, whereas LDL is a bad one.